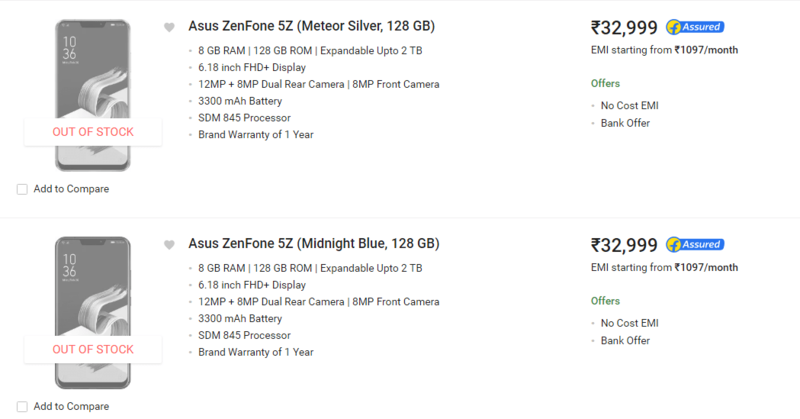 Asus is launching the Zenfone 5Z in India tomorrow exclusively via Flipkart but looks like we don’t have to wait till tomorrow for the pricing. The phone is already listed on Flipkart in three variants (64GB, 128GB, and 256GB), along with the pricing. 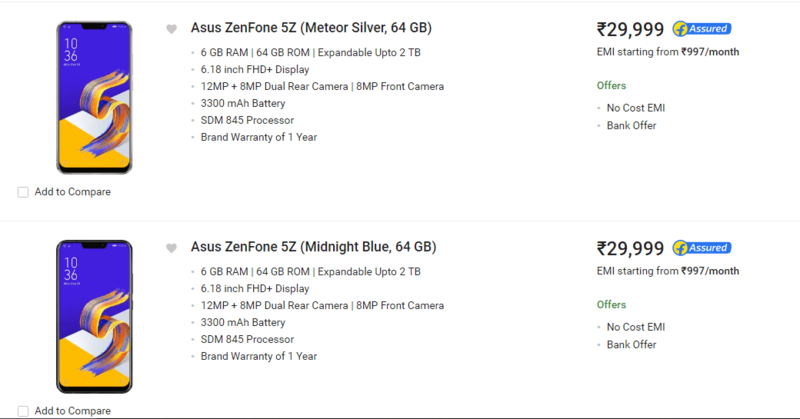 So, it seems like Flipkart made a mistake by listing the phone a day ahead of its launch tomorrow. There are chances that the listing will be removed soon, but we already have the screenshots, so there is no need to worry about that. Looking at the pricing, it seems like Asus just killed the OnePlus 6. The phone is launching with a starting price of Rs 29,999, which makes it the cheapest Snapdragon 845-powered smartphone in the Indian market. The price of Rs 29,999 is for the 6GB RAM + 64GB ROM variant. The 6GB RAM + 128GB ROM variant is priced at Rs 32,999 whereas the 8GB RAM + 256GB ROM variant at Rs 36,999. As for the comparison, the OnePlus 6 starts at Rs 34,999 for the 6GB + 64GB variant and goes up to Rs 39,999 for the 8GB + 128GB variant. 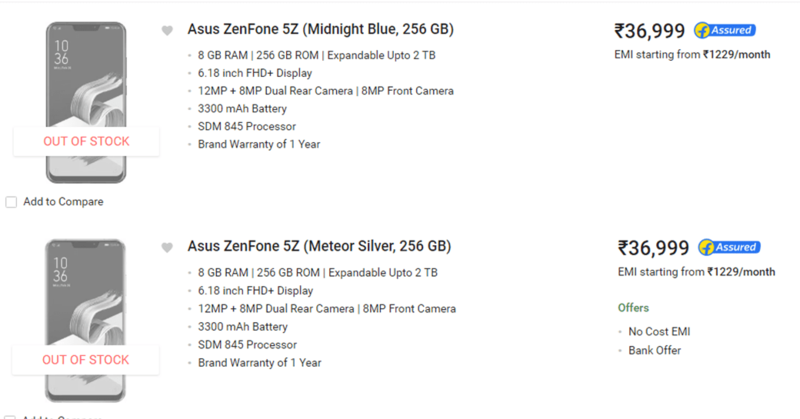 It is not the first time Asus has surprised with its pricing. When the Asus Zenfone Max Pro M1 launched in India at a starting price of Rs 10,999, it was a huge surprise for everyone. It looks like Asus has understood that to compete with the likes of Xiaomi and Honor, it has to price its devices aggressively. 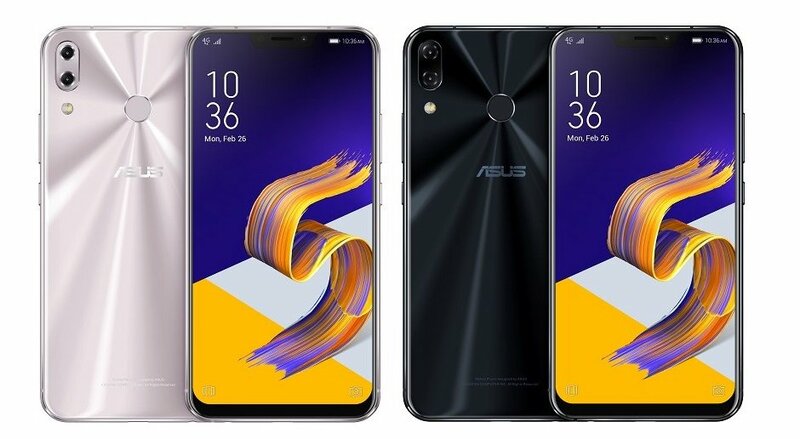 So, what do you think of the Asus Zenfone 5Z Price for the Indian market? Do let us know via the comments section.